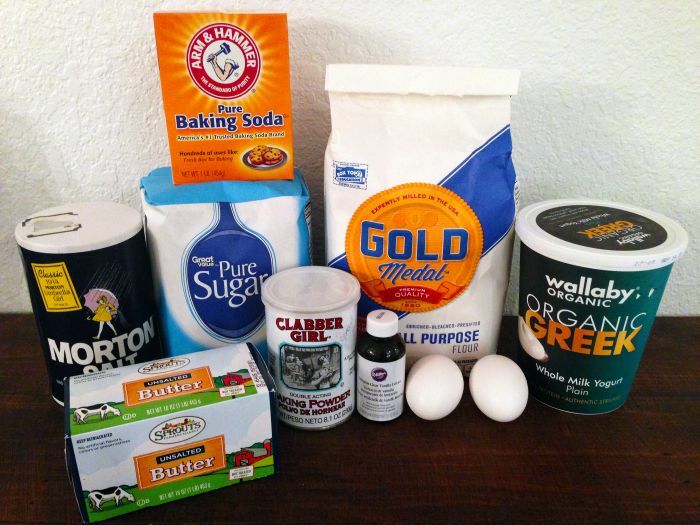 Add Greek yogurt and vanilla extract to butter and sugar mixture in mixer. Cream together for 1 to 2 minutes at medium speed. Remove from refrigerator. Scoop out about a cup and a half at a time and place onto parchment paper. Knead with hands. Sprinkle flour onto rolling pin and dough as needed to avoid sticking. Add yellow color icing to dough and knead with hands or fold with a spoon until color is evenly distributed. Keep adding yellow color icing until desired color is achieved. Set aside. 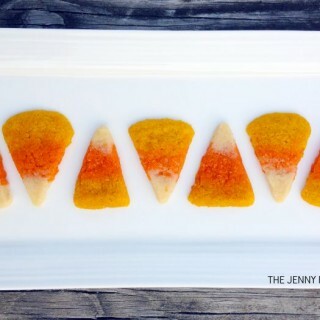 Repeat steps 8 and 9, but use orange color icing. Repeat step 8, but do not add icing color to your third and final layer. 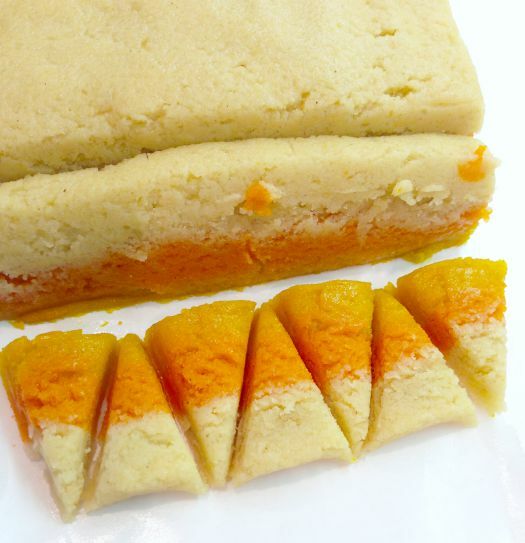 Begin to press the yellow dough (1st layer) into the bottom of the pan. Try to ensure the dough is level, with no bumps. 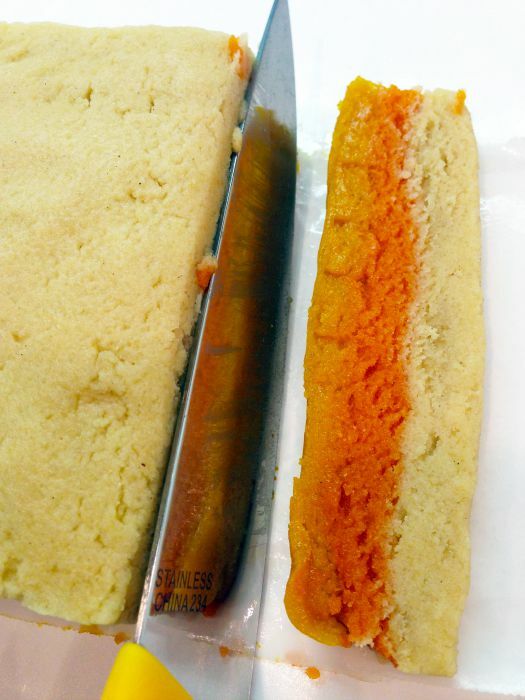 Add the orange dough (2nd layer) on top of the yellow. Pat it down with your hands. Add the uncolored dough (3rd layer) on top of the orange. Pat it down with your hands. Refrigerate for approximately 2 hours to set. Remove from refrigerator and let set for 15 minutes. Holding on to the parchment paper used to line bread loaf pan, remove layered dough and set on clean surface. Using a large knife, cut ¾ inch slices. Turning each slice on its side, use your knife to make a zig-zag pattern. 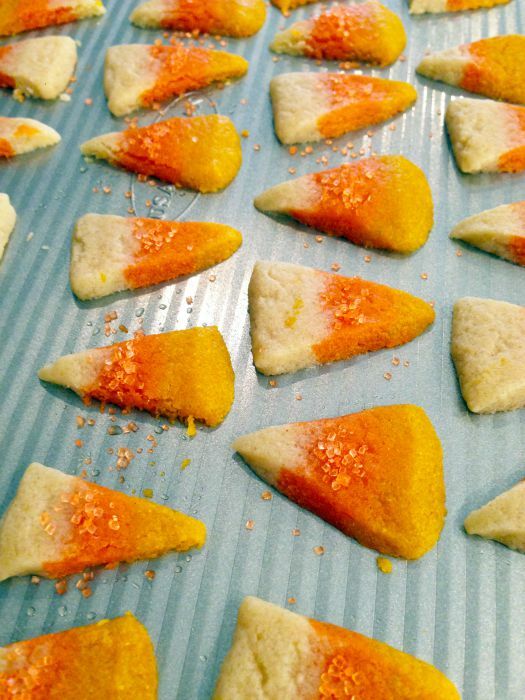 Add candy corn sugar cookies to baking sheet. Bake each batch for approximately 8 minutes. 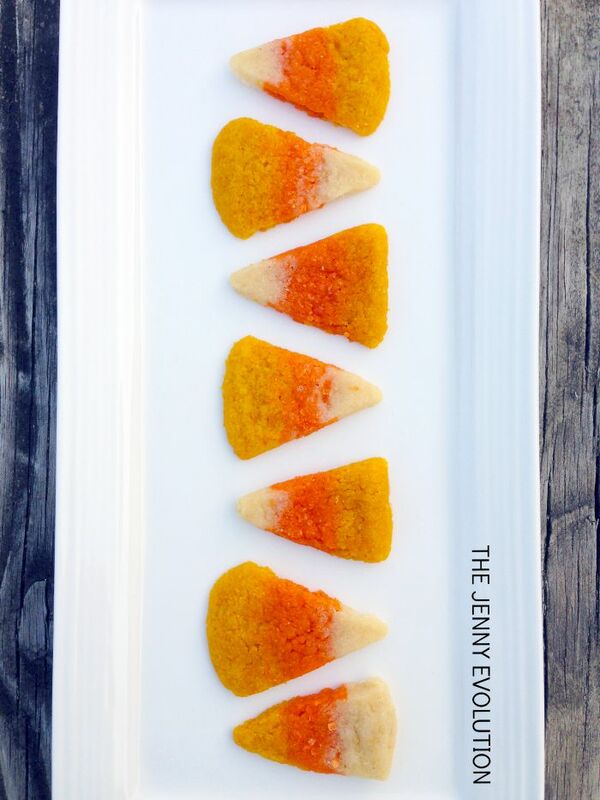 Using the orange sugar sprinkles, add to orange section of cookies randomly. layer) into the bottom of the pan. Try to ensure the dough is level, with no bumps. layer) on top of the yellow. Pat it down with your hands. layer) on top of the orange. Pat it down with your hands. Turning each slice on its side, use your knife to make a zig-zag pattern. 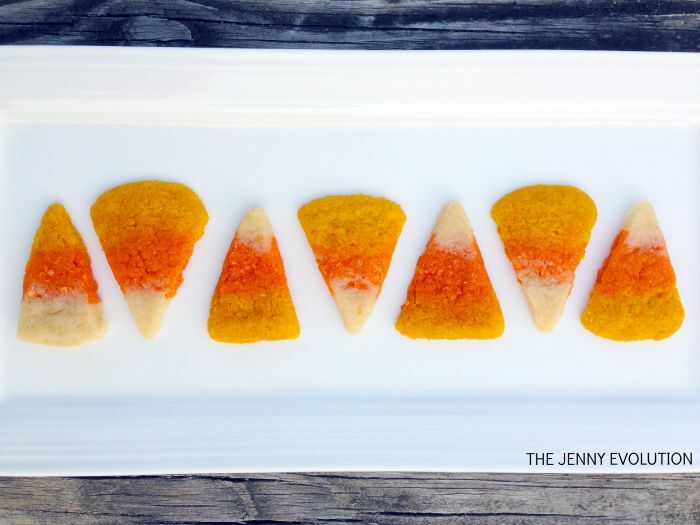 This will create your candy corn sugar cookie shape!